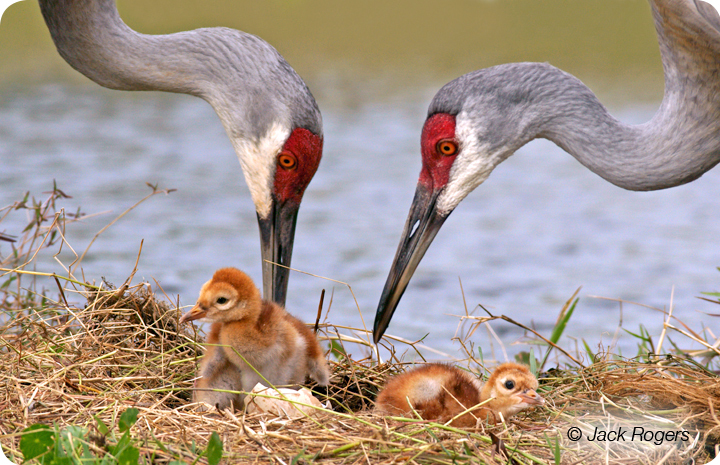 Florida provides a home for two sub-species of Sandhill Crane; the Greater Sandhill Crane, which visits from the north during the winter months, and the Lesser Sandhill Crane, now called the Florida Sandhill Crane, which is a year-round resident of the peninsula. The Florida sub-species is slightly smaller than its close relative and can be found frequenting a variety of natural and urban habitats. The earliest Sandhill Crane fossil, an estimated 2.5 million years old, was found in Florida.